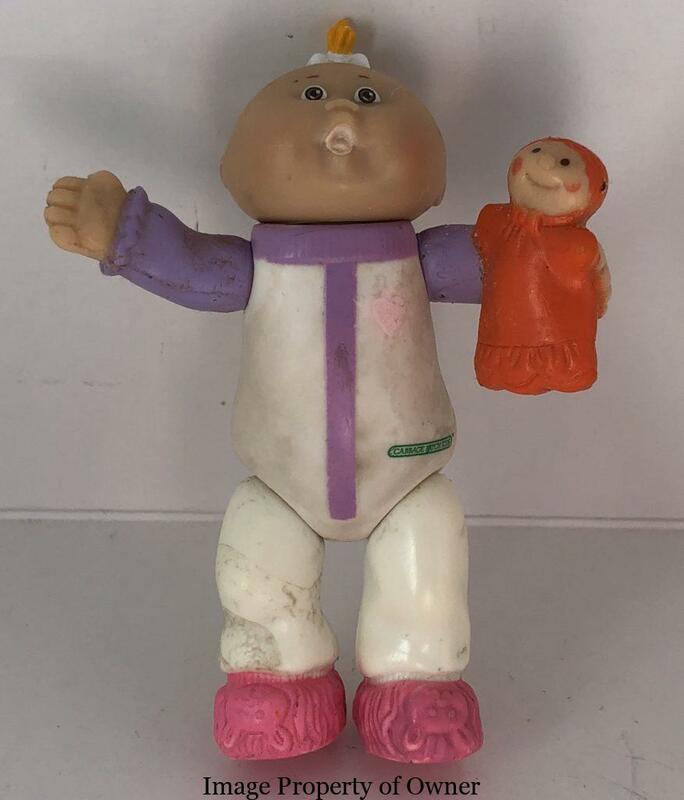 Attention all Cabbage Patch Fans- Mini CPK sale on eBay! 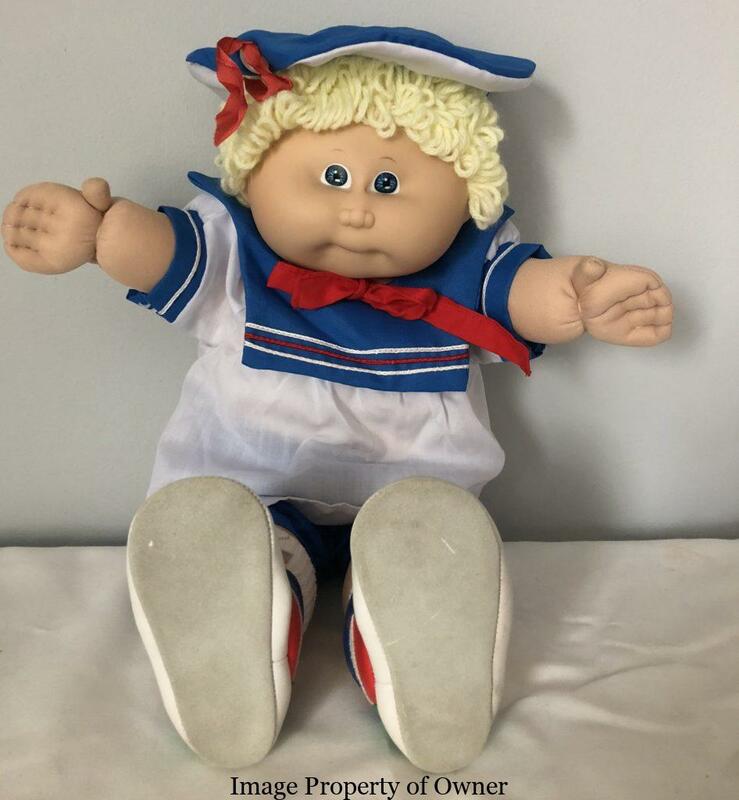 80s toys Cabbage Patch Kids coleco colllectibles poseable cabbage patch kids CPK EBay on sale panosh place poseable yello80sLeave a Comment on Attention all Cabbage Patch Fans- Mini CPK sale on eBay! I don’t sell my toys often but it’s time to part ways. 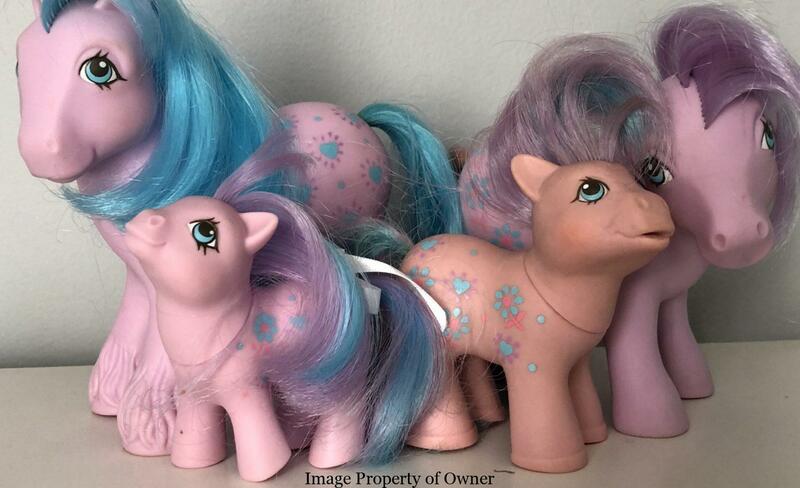 Over on ebay I have auctions going for a sweet African American 2-pony girl from OK factory who needs a little TLC and a tall, short-haired KT girl with handmade sailor outfit. 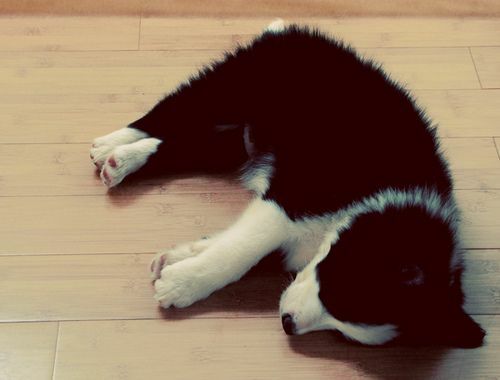 You can view full pics on the listing: Seller aeru2 AA girl for sale, KT girl for sale. AA OK Girl: “Has long ponytails and her original blue dress and bloomers. 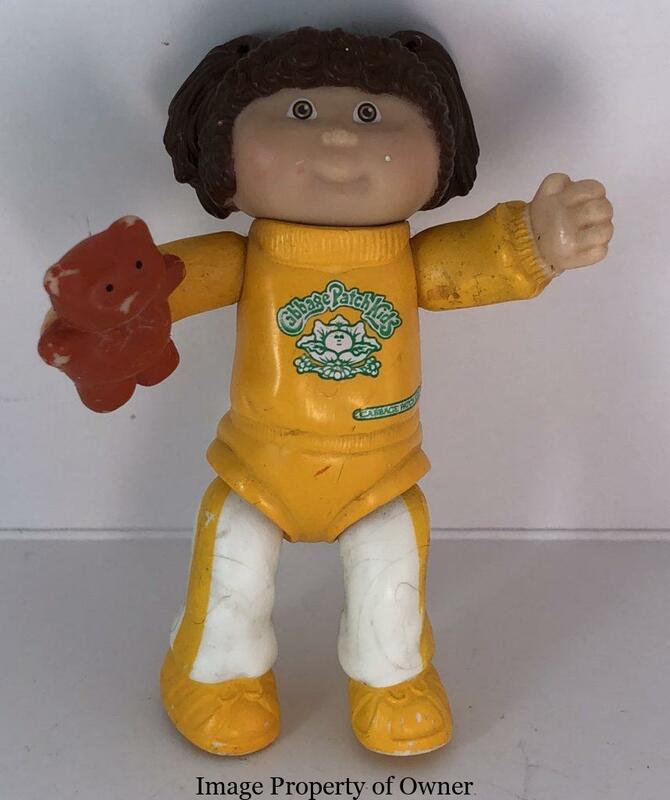 She comes from the Coleco OK factory and has the typical round face, big eyes and very chubby legs of an OK ‘Kid. Her face is clean and she has one sweet little dimple. 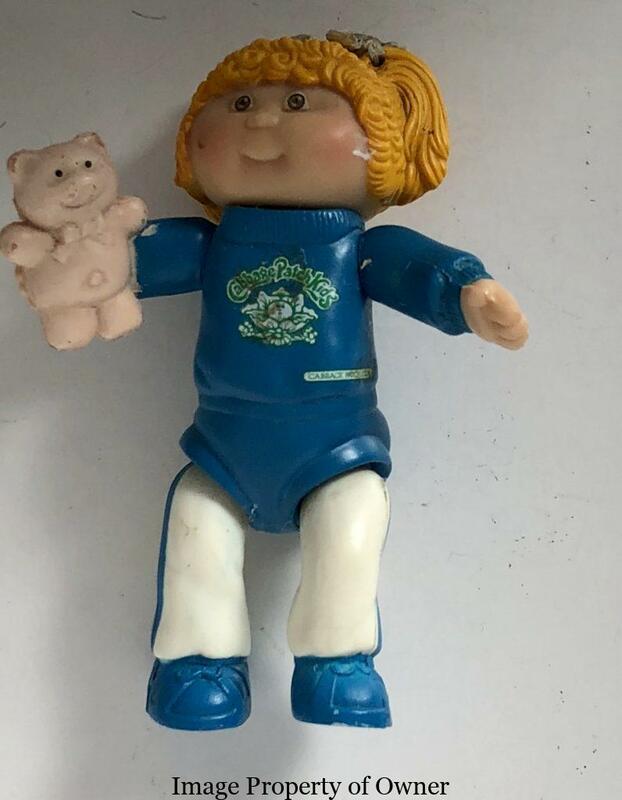 KT Girl: “Blonde girl is from the KT factory in China (Kam Yeun Toys) which manufactured for Coleco. KT Kids are a little bigger than average CPK so this little blondie is a bit tall for her age. She’s in excellent condition with her original hair ribbon and diaper. Her clothes are not the originals- she is wearing a handmade sailor suit with matching bloomers and tam and she has some pretty kicking infant hitops to complete her ensemble. She has been out of her box for about a year in a smoke-free home and has no visible flaws (box is unavailable). Updates to the Koosas / Furskin page! 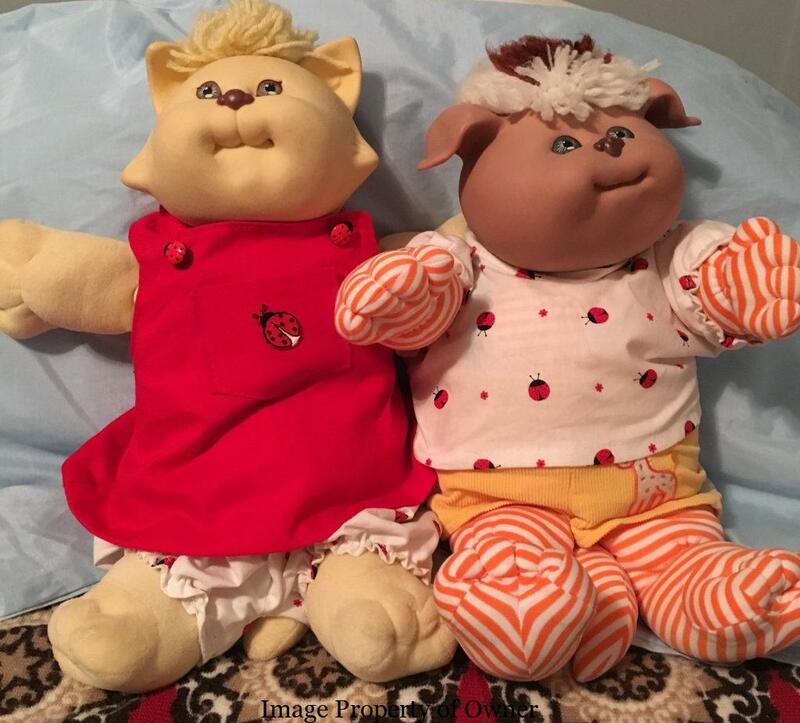 I’m sure you’ve heard of the Cabbage Patch Kids but did you know they also had pets and bear cousins? Learn about the Koosas and the Furskin Bears on the Koosa page here on Yello80s- updated and ready to read! 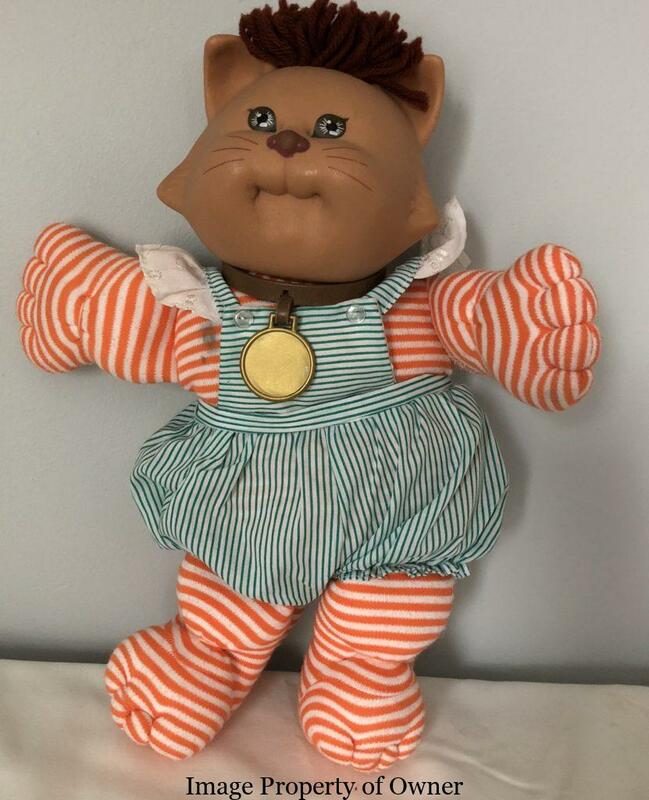 Cabbage Patch Kids coleco CPK furskin koosas yello80sLeave a Comment on Updates to the Koosas / Furskin page! Ever wonder where those ‘Kids actually came from? Well, the Cabbage Patch of course! 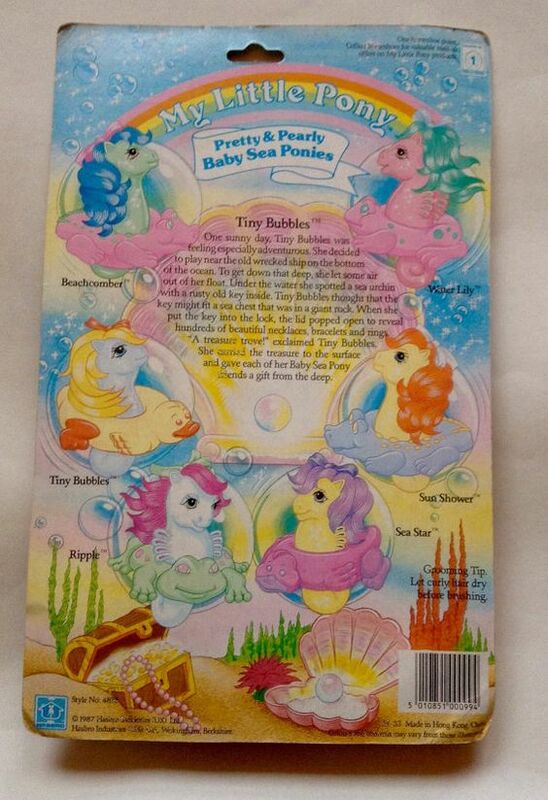 Anyone who ever owned a ‘Kid in the 80s read this charming story right off the back of the box. 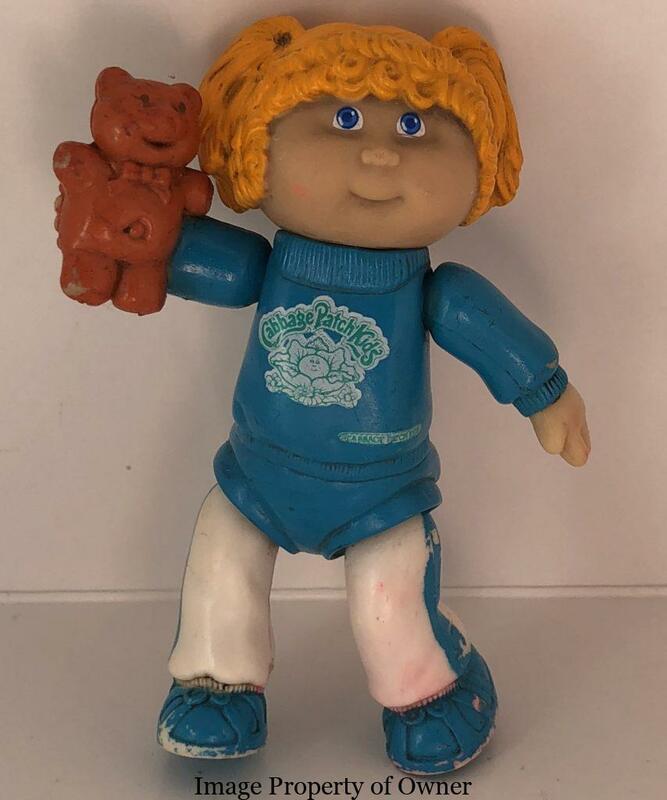 Vintage Cabbage Patch Kid lovers rejoice! If you’re a CPK lover of the 80s kind you may have been grumbling since the last do-over of the ‘Kids. I know I have. 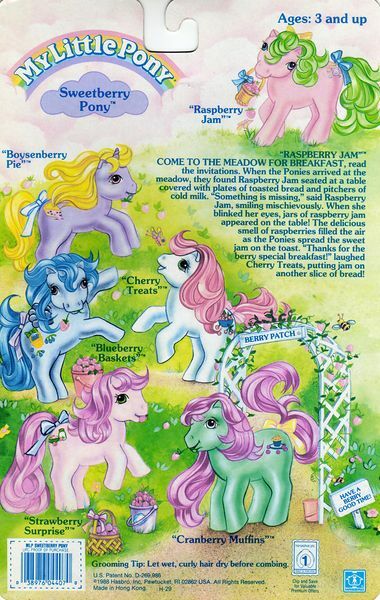 It seemed in the early 2000s the children started looking really thin in comparison to their bulbous heads and the other CPK lines such as the Show Ponies, Bunny Bees, and Koosas disappeared altogether. These days the ‘Kids are getting back to their roots while still moving onward and upward. They’ve gotten their dimpled, healthy soft bodies back and come in an array of skin choices as well as ages and interests and you can customize online and order vintage-type ‘Kids. The pets have been updated, the clothes are trendy and CPKs are back in the saddle again. So how can it get any better? While I would love to see re-issues of the Koosas, I don’t trust that someone won’t screw those up entirely. BUT- guess what’s coming back to shelves Christmas of 2017??? 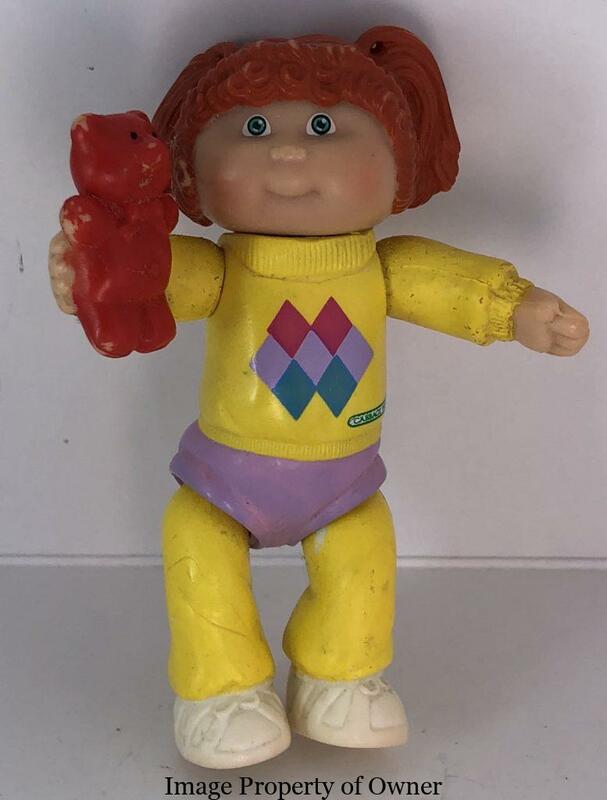 80s reboots 80s toys Cabbage Patch Kids coleco CPK Furskin Bears rare cpk toy re-issues yello80sLeave a Comment on Vintage Cabbage Patch Kid lovers rejoice! Almost as exciting as getting a ‘Kid was getting your hands on their adoption papers and sending in to have your ‘Kid ratified by BabyLand General Hospital as really yours! Remember, this was back in the day when things MUST be mailed in, with a STAMP and came back in a minimum 6 weeks processing time… what an agonizing wait! 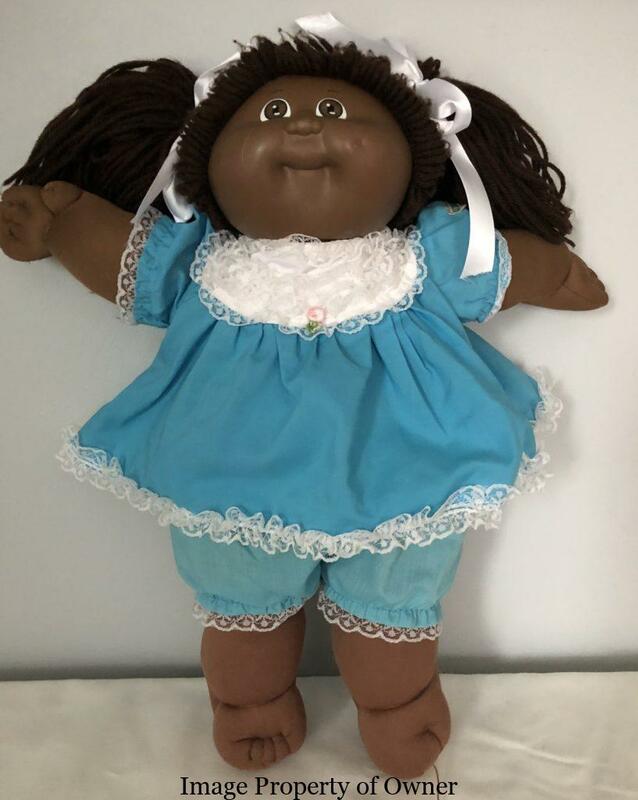 This Victorian beauty was release by Hasbro for the Cabbage Patch Kids’ 10th Anniversary in 1993 of their original production under the Cabbage Patch Kids name under Coleco. Dolls were limited edition and retailed at $75.00. I was saying to someone the other day that the 80s were really the last time you see a lot of hand-rendered toy packaging art to compliment merchandise photographs and the CPK boxes were no exception. Check out these chubby cheeked ‘Kids from a 1985 box. 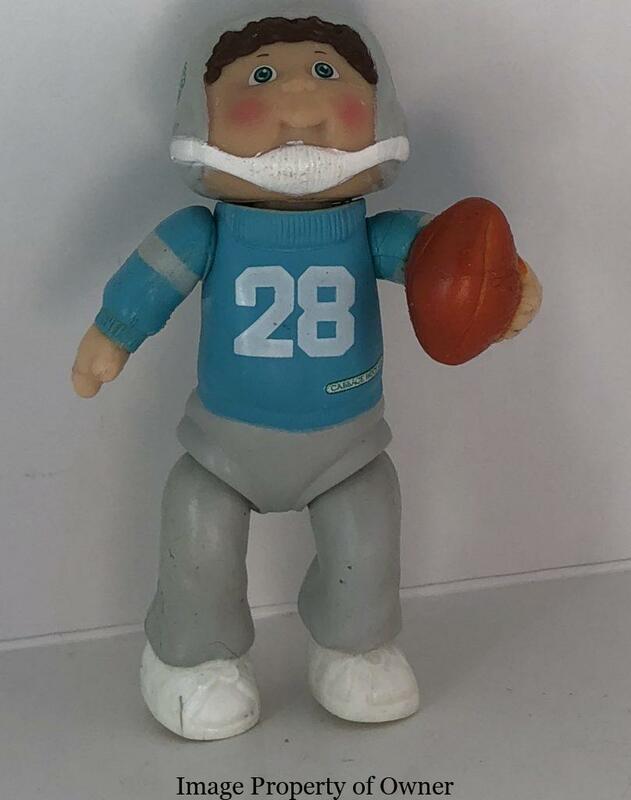 In addition to those cute official Coleco ‘Kid clothes that are smaller than a newborn’s clothes but not quite the same fit as a preemie, Coleco also produced costumed ‘Kids or ‘Kids in animal sleeper-suits. These were not the same as the Clown Kids who wore clown suits or the International Kids who came in the national dress of their country of origin. Unlike the current mini-kids (Mignons, Farm Cuties), these were full sized- dolls with removable suits and I’ve seen them both with costume in box and also the costumes sold separately. On eBay lately I’ve seen a lamb costume, a reindeer version, a mouse and a bunny, a bear and of course, this adorable little lion suit. I’m sure there are more out there but I had to have this little lion for my CPK boy. From 1985. Not to be confused with Butterick’s 1984 series of sew-your-own CPK doll Hallowe’en costume patterns.